“The search for information about the Vatican is maddening,” writes Ian Caldwell, “not because that information is scarce but because it’s oceanic, bottomless, centuries deep — and because, just when you think you’re on the cusp of a discovery, you drop head-first into the abyss.” Caldwell’s new novel, which arrived in bookstores this week a decade after his blockbusting debut, The Rule of Four (Random House, 2004), is set almost entirely within the forty-four hectares of the Vatican. Accurate information, what Caldwell calls “near-photographic realism,” is therefore essential for grounding a thriller whose mechanics rely on precise knowledge of everything from canonical law to the subtle variations in the Synoptic Gospels’ accounts of the Resurrection. Though set in 2004, in the last days of the papacy of John Paul II, this is still a world of spooky priests, Kafkaesque surveillance, and ancient grudges breaking to new mutiny, reminiscent of Umberto Eco’s medieval masterpiece The Name of the Rose (1983). 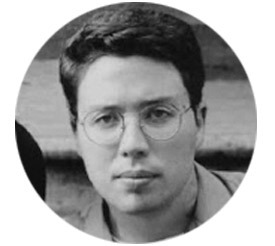 Our narrator-hero is the young Eastern priest Father Alex Andreou, who lives in the Vatican’s Belvedere Palace (“because in Italian you can call anything a palace”) with his young son, Peter. Unhappily separated from his wife, Mona, he lives a life of paternal devotion tinged with regret. One night he is awaiting a visit from his diplomat-brother Simon when he receives an ominous phone call summoning him to Castel Gandolfo, the Pope’s vacation home. There, in the middle of a terrible storm, he finds Simon standing over the dead body of Ugolino Nogara, a man who, we learn, had been on the verge of exhibiting to the world conclusive proof of the Turin Shroud’s authenticity. Nogara’s murder sets in motion a series of violent and mysterious happenings that take Father Andreou on a suspenseful, trust-no-one journey through the Vatican’s libraries, courts, and parking garages, all the way to the Pope’s private rooms. As Father Andreou observes early in the novel, “Christian relics can unearth the most subterranean feelings,” and there’s evidence throughout that their affective power should not be underestimated. Andreou’s father, devastated by the carbon-dating controversy over the Shroud in the 1980s, died a broken man. The revelations Nogara had threatened — including the suggestion that Crusading Catholics stole the Shroud from the Orthodox during the sack of Constantinople, in 1204 — are deemed sufficiently dangerous that their suppression is motive enough for his murder. And it’s not just relics. Fiction concerning relics, even for the atheistic reader, can raise at least the specter of the same superstitious dread and awe that the subject inspires in the devout. As The Exorcist plays in secular fashion on a sort of primal, ancestral memory of a belief in diabolism, so texts like The Da Vinci Code and The Fifth Gospel can still generate significant tension, not to mention uncanny effects, purely from their subject matter. Some of the more mysterious events early in Caldwell’s book, including an unexplained break-in, come to seem almost supernatural in an atmosphere pervaded by swishing cassocks and shady hooded figures. 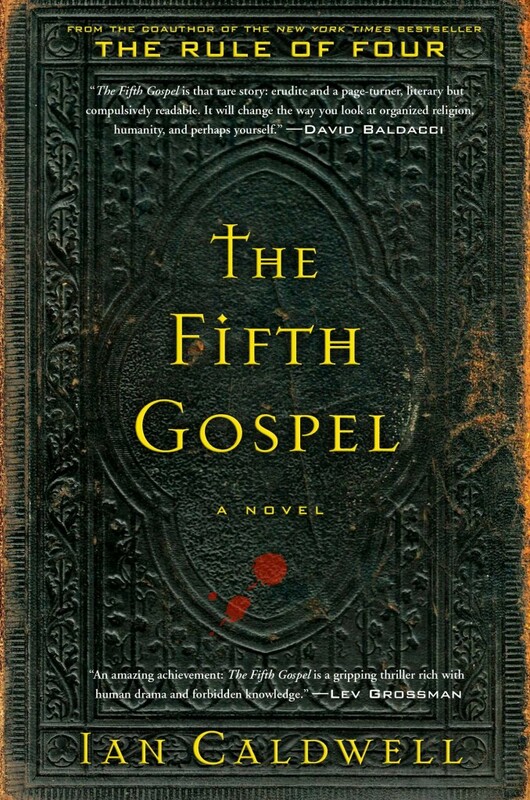 By staying close both to history and the gospels, Caldwell’s novel retains a high degree of plausibility. At times, it’s a work of almost documentary realism, as in the treatment of Father Simon’s trial and the painstakingly strict adherence to the Vatican’s topography. This wasn’t always easy to get right, as he has revealed in a fascinating Salon article. “I have traded phone calls and emails,” Caldwell writes, “with Holy See diplomats, Vatican priests, Church lawyers, the wives of Eastern Catholic clergy, the Jesuit former editor of America magazine, and the papal caretaker of the Shroud of Turin.” In addition to the interviews, he acquired hundreds of books on the Vatican — everything from official publications to lurid tabloid works on the papal bedroom. The effect is remarkable. Even without a plot so breathless that it could fill a novel twice as long, readers would be strung along by the voyeuristic pleasure of seeing the inner workings of one of the world’s smallest and strangest countries. The plot itself combines familiar thriller tropes — cell phone records, gun cases, missing keys, all very CSI: Vatican — with the possibility of bottomless revelation that ancient manuscripts and restricted libraries appear to offer. To be a good priest (and detective) is to be a literary critic, and there are some rapturous chapters in which textual variations take center stage. For Caldwell, analysis can yield deeper, more beautiful truth. In his own discussions with Vatican residents, he found that “some priests felt this was the whole spirit of the class: to challenge men to discard the simple verities of altar-boy life and search in darkness for the way back toward the light.” Their faith is reinforced through their questioning and analysis. Like The Name of the Rose, The Fifth Gospel is a sort of postmodern thriller, a story in which mysteries can be probed through textual analysis, where broader truths can be accessed through academic grind. It’s a book that wears its ten-year gestation on its sleeve; it has the forensic precision of a work of New Journalism and the academic rigor of a PhD thesis. That it also achieves page-turner status is no mean feat. You can buy The Fifth Gospel at Barnes and Noble. Ian Caldwell will appear at our next Seriously Entertaining show, No Return, on March 9 at City Winery NYC. Buy your tickets here.